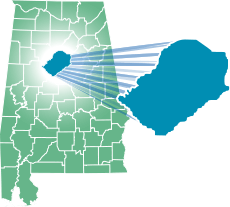 The Jefferson County Housing Authority was incorporated on October 15, 1941 to provide safe and sanitary housing for qualified low-income persons residing in the Jefferson County, Alabama area. Our team is committed to providing quality, affordable housing within thriving neighborhoods through partnerships with our residents and community stakeholders. Our goal is to improve communities and encourage self-sufficiency for clients through the increased availability of housing and related services for low–to moderate-income families and for those with special needs, without discrimination. Our non-profit entity, JCHA Housing and Development Corporation, owns properties to help further our mission of providing affordable housing for Jefferson County residents. JCHA provides housing assistance for residents in the Jefferson County area, utilizing traditional programs: Public Housing and HCV (Housing Choice Vouchers), previously Section 8 Housing Choice Vouchers, funded by the federal Department of Housing and Urban Development (HUD). Other services include Housing and Home Ownership Counseling as well as the Continuum of Care (formerly Shelter+ Care) program which provides housing for homeless people dually diagnosed with substance abuse, HIV/AIDS, and/or mental illness.